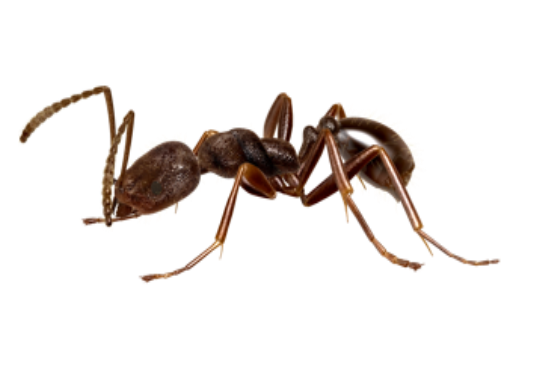 Averaging approximately 1/16” in size, Argentine Ants do not have stingers. They emit a stale greasy or musty odor when crushed. They are typically found in moist areas (such as kitchens and bathrooms) located near food sources. They build colonies under rocks and inside walls. Each female can lay one egg per day and they can live several years. Usually black, carpenter ants are between ¼ – ⅜” long. 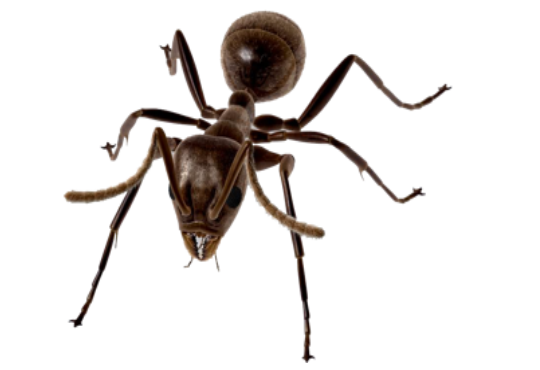 These large ants do not eat wood, but often live in hollow trees or logs. 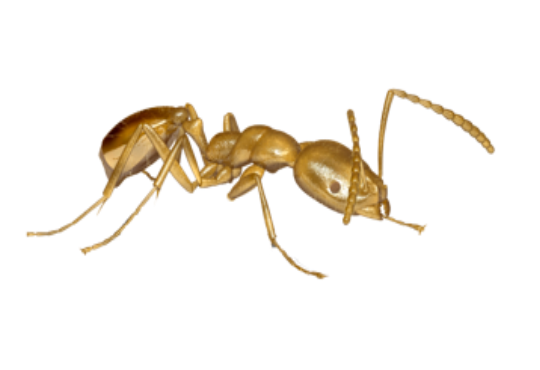 Each colony has only one egg-laying queen, but may have up to 3,000 worker ants. 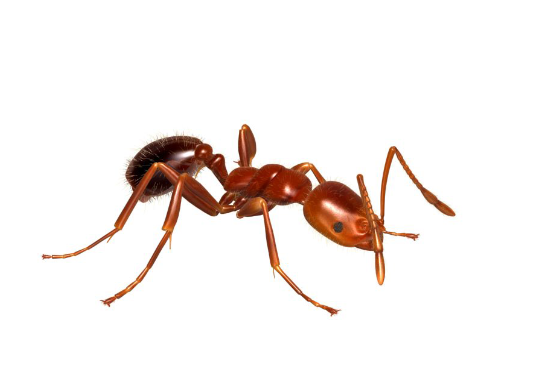 Aggressive and venomous, fire ants will bite predators multiple times and can kill small wildlife or domestic animals. They can also eat through rubber wire insulation. When these guys bite, it hurts. They are between 1/16 – 1/4“ long and dark red. 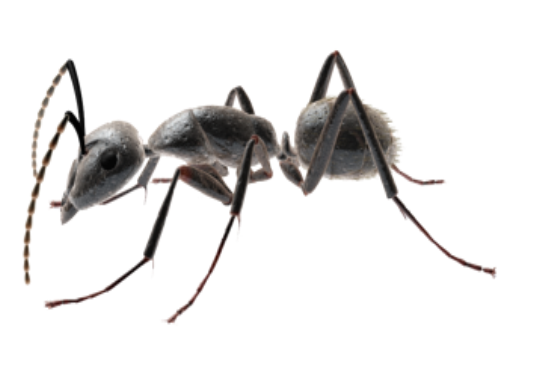 Fire ants build mounds of earth that can house up to 250,000 worker ants. 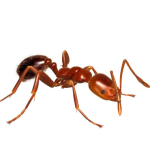 This species is a scavenger/predator ant that will eat most household foods, especially those that contain sugar, and other insects. Indoors they will colonize near heat sources or in insulation. In hot and dry situations, nests have been found in houseplants and even in the lids of toilets. At 1/10” long and brown, pavement ants will sometimes live in the harborage of larger ants, feeding on their hosts’ young. They next in sidewalk cracks, along curbs, under rocks, under floors, or in walls. 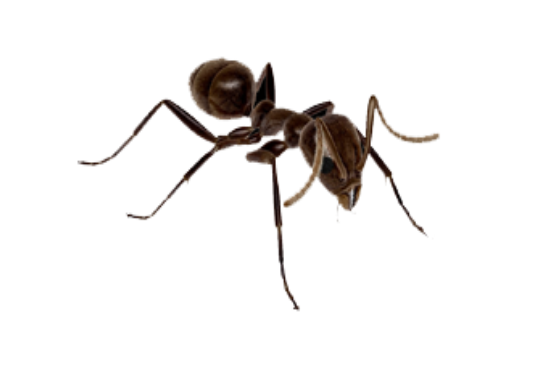 The Pharaoh ant is a small (2mm) yellow or light brown, almost transparent ant notorious for being a major indoor nuisance pest, especially in hospitals.